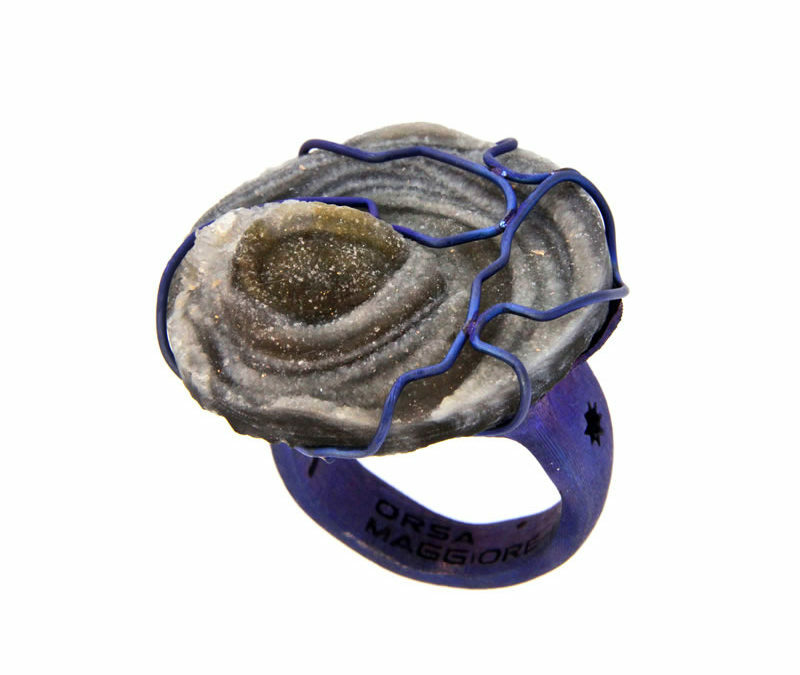 Blue satin finish titanium ring with micro-crystallized agate set with intertwined wires. 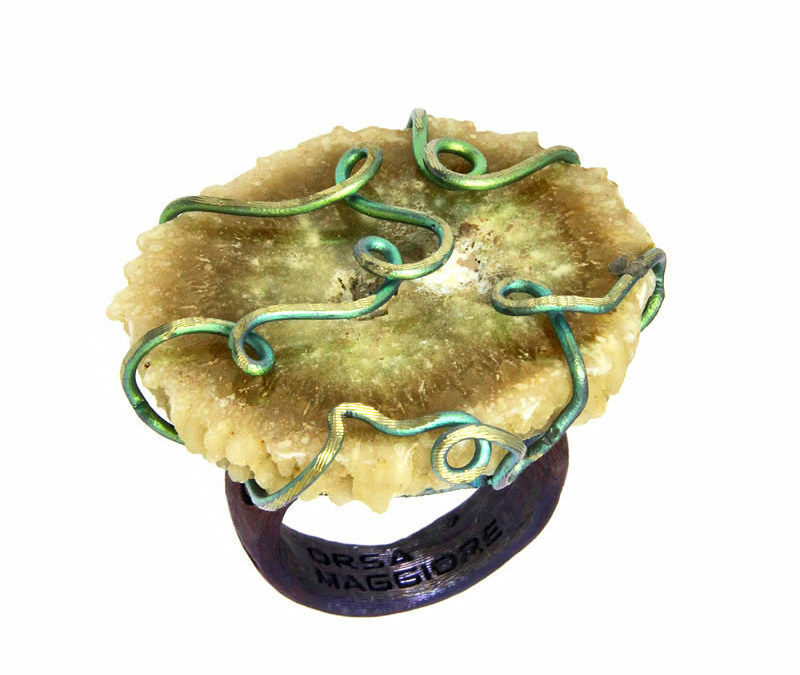 Golden green-blue satin finish titanium ring set with agate stalactite slice in its original crystallization. 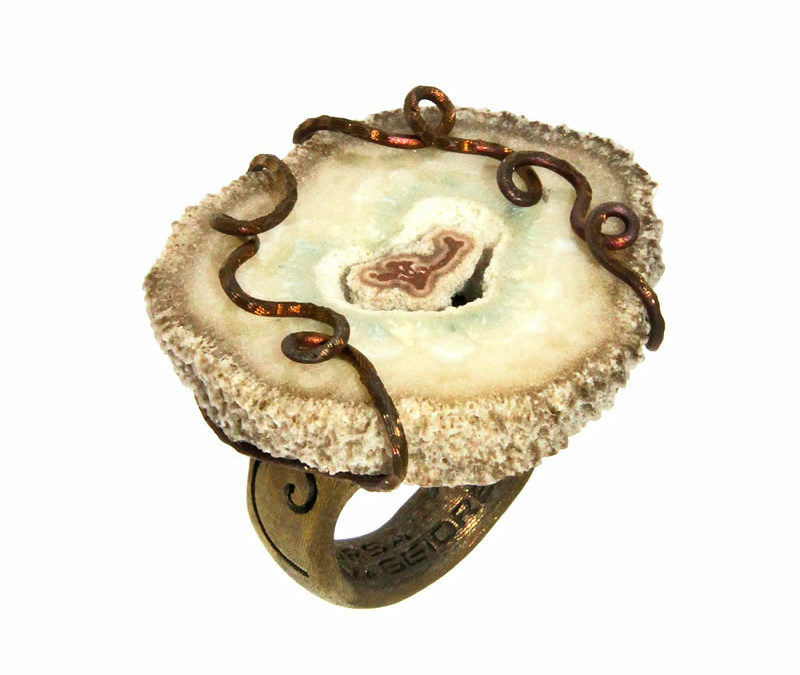 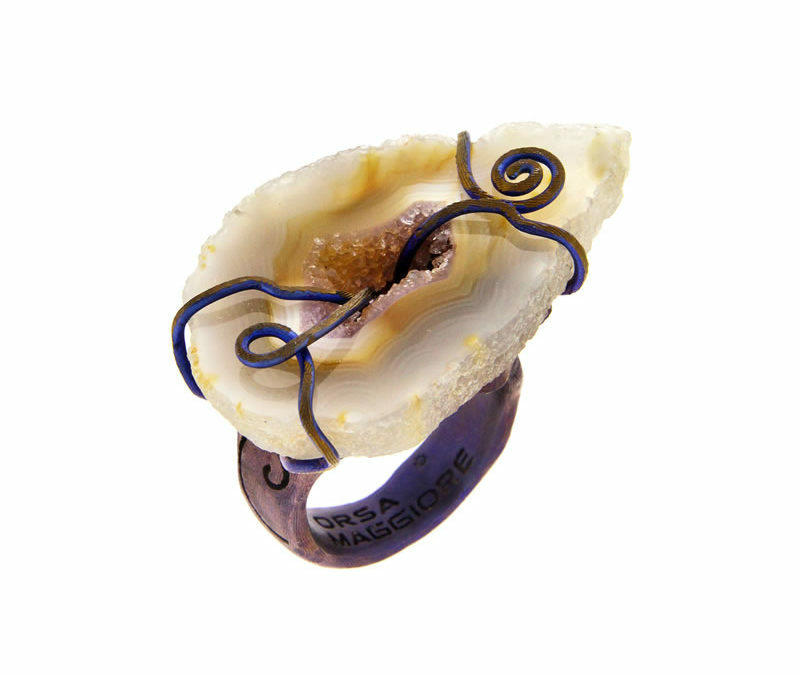 Golden satin finish titanium ring set with agate stalactite slice in its original crystallization. 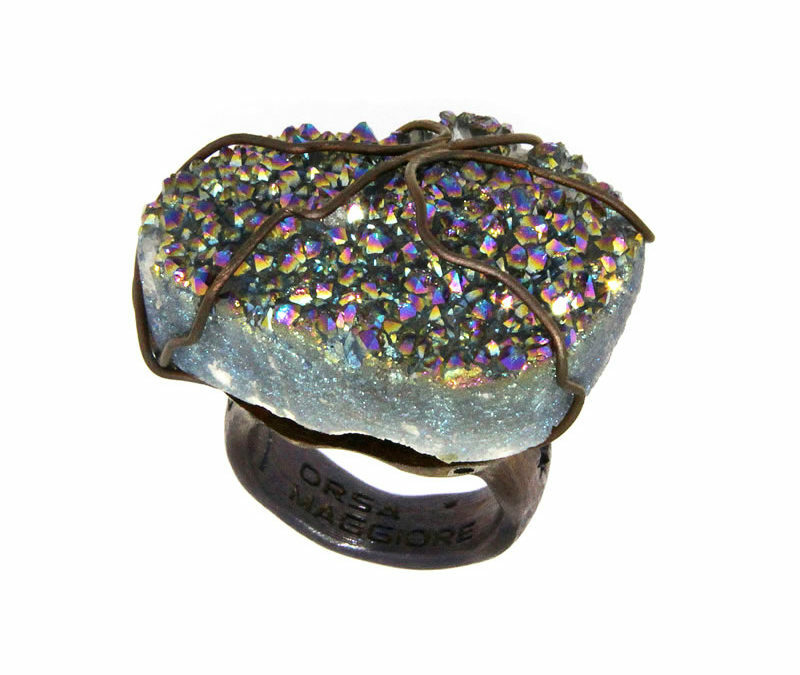 Grey blue satin finish titanium ring set with aqua aura quartz in its original crystallization. 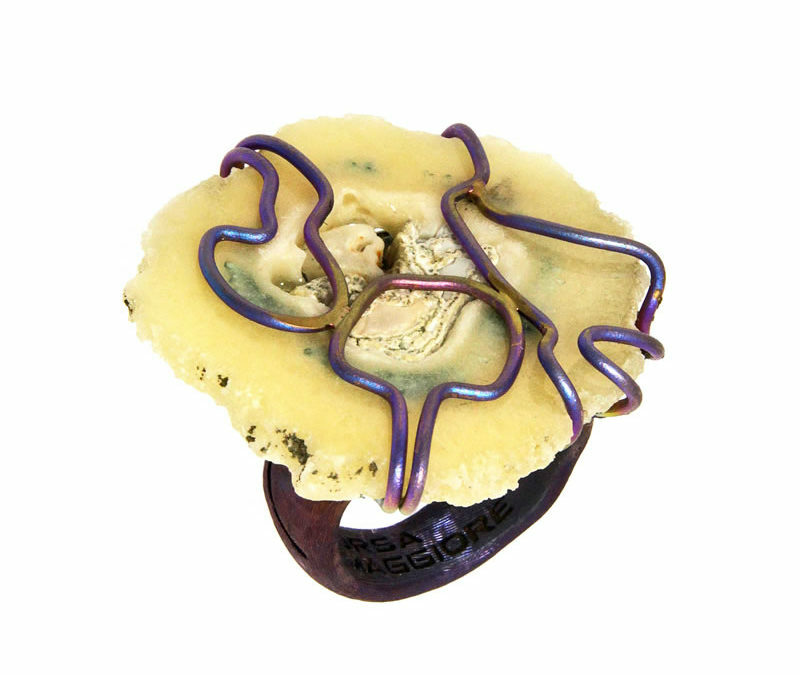 Golden blue satin finish titanium ring with agate geode with central micro-crystallization garnet crystal set with intertwined wires.